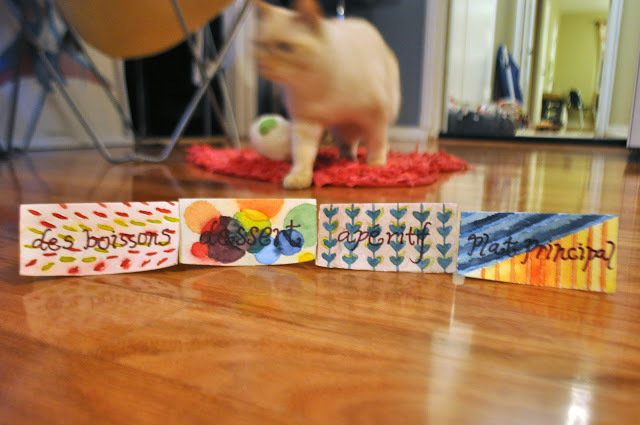 Made these food station labels for my housewarming party at Junette's craft night last Friday. It has been almost 5 years since I last picked up my paint brush, so thanks to Junette for forcing me to do what I love. I enjoy watercolor for the same reasons I prefer film photography over digital, the element of surprise. There is a certain unpredictability with the way the colors bleed and blend. Also housewarming party pictures coming soon, I'm almost done sorting and editing!